Northwest Indian tribes today held a ceremony in Kettle Falls honoring the historic role of salmon in their lives. Spokane Public Radio's Doug Nadvornick talks with DR Michel of the Upper Columbia United Tribes. “You know, for over 80 years, with the development of Grand Coulee, they had the Ceremony of Tears here and we eventually lost that part of our culture in our ceremonies. 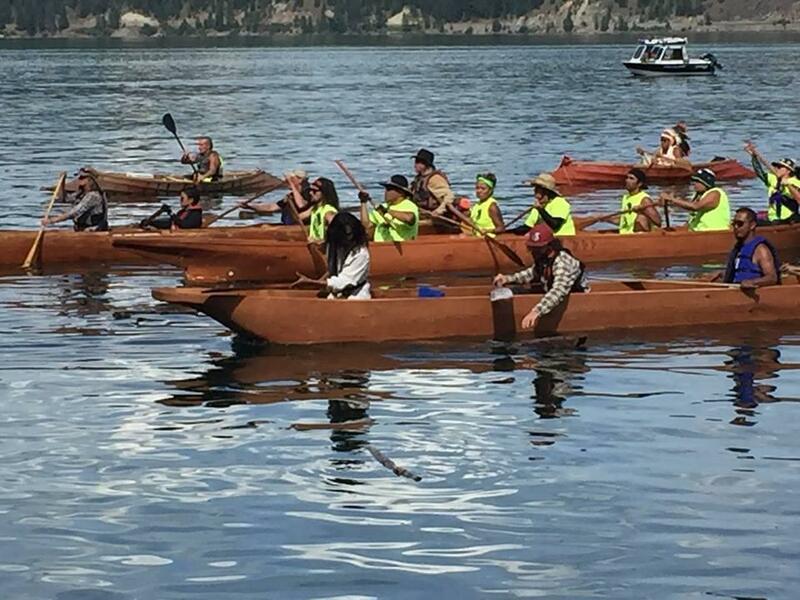 So these canoes are a way of waking that up, so to speak, to get back out on the water together as tribes, to work to protect and enhance these resources for the benefit of all people,” Michel said. D.R. Michel (michelle) is the executive director of the Upper Columbia United Tribes.